NOV 20TH, 2018 TO JAN 7TH, 2019 OR WHILE SUPPLIES LAST. After the registration process is complete, you will receive the activation code on screen. Please visit redeem.msi.com to active you code. Register your eligible product by logging into Your MSI Member Center account. You will need to sign up for a new MSI Member account at https://register.msi.com/home/login if You have not previously registered. Go to the product registration page and register your eligible MSI product by selecting the product line. Select the “Game On Game RTX” promotion. Provide a copy of Your proof of purchase for MSI verification. Documentation must show the product model name label, invoice date, and shop/vendor name. The invoice date must be between Nov. 20th, 2018 – Jan. 7th, 2019. You may purchase or register more than one (1) eligible product to receive more codes while supplies last. 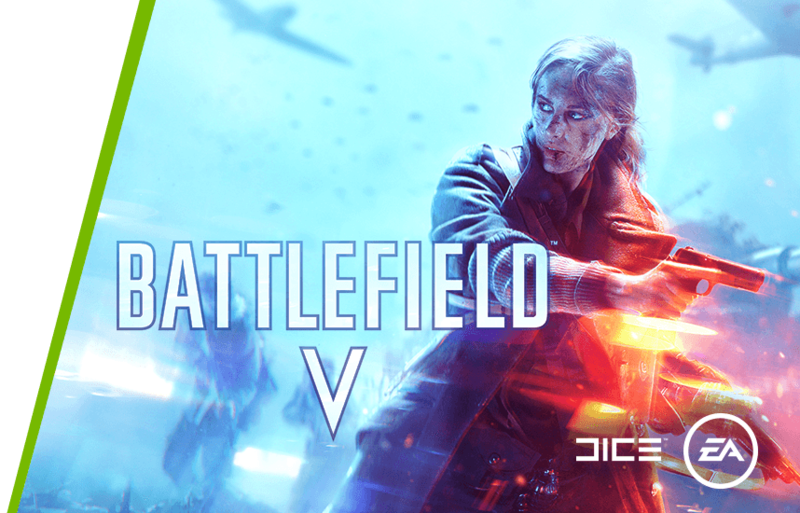 Game Code: (1) copy of Battlefield V game code. CODES WILL EXPIRE AFTER JAN. 31st, 2019, AND MAY NOT BE USED TO ACTIVATE THE GAME AFTER THE EXPIRATION DATE. Eligible MSI products: MSI GeForce RTX 2080 Ti/2080/2070 series Graphics Cards or MSI desktop systems using MSI GeForce RTX 2080 Ti/2080/2070 series Graphics Cards. to vary, delete or add to any of these terms and conditions without prior notice. © 2018 NVIDIA Corporation. All rights reserved. NVIDIA, the NVIDIA logo, and GeForce are trademarks and/or registered trademarks of NVIDIA Corporation in the U.S. and other countries. Other company and product names may be trademarks of the respective companies with which they are associated. 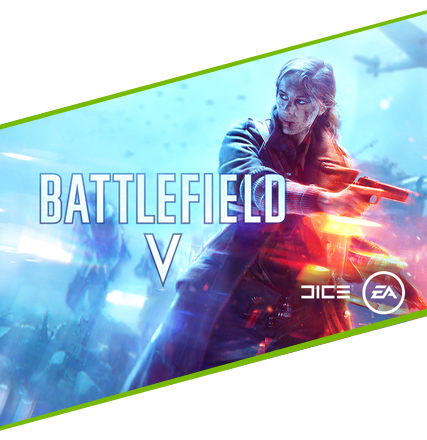 ©2018 Electronic Arts Inc., EA, the EA logo, the DICE logo, Battlefield, Battlefield V, and the Battlefield V logo are trademarks of Electronic Arts Inc. NO WEAPON, VEHICLE OR GEAR MANUFACTURER IS AFFILIATED WITH OR HAS SPONSORED OR ENDORSED THIS GAME. Images from in-game engine.